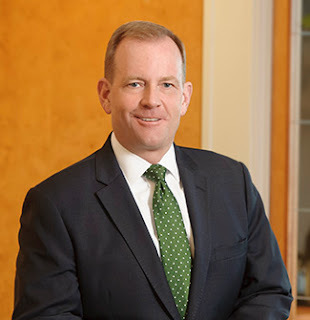 McGregor W. Scott was confirmed yesterday by the U.S. Senate as the U.S. Attorney for the Eastern District of California which is based in Sacramento. Scott was appointed by President Donald Trump in November 2017. “I am humbled and honored to be appointed by the president to lead the committed men and women in this outstanding office," Scott said. "I look forward to working with them and our law enforcement partners to keep our communities safe, to safeguard the Treasury, and to provide the United States with the highest quality legal representation in all the matters we handle." Scott has returned to familiar territory following his appointment by Trump. Between 2003 and 2009 he held the same position during the administration of George W. Bush. Before working in the Bush administration, Scott was the district attorney in Shasta County. During his tenure there his office successfully prosecuted high-profile cases including the firebombing of synagogues and abortion clinics in Redding, California and the murder of a gay couple. After completing his first term as U.S. Attorney, Mr. Scott practiced as a partner with the law firm of Orrick, Herrington, & Sutcliffe LLP, focusing on white-collar criminal defense and corporate investigations. Also, Mr. Scott retired in 2008 from the U.S. Army Reserve as a lieutenant colonel after 23 years of service. The Eastern District of California and is responsible for prosecuting federal criminal cases and representing the United States in civil litigation. The Eastern District covers 34 counties throughout the Central Valley and the Sierras, from the Oregon border in the north to the Los Angeles County line in the south and is staffed with 92 attorneys and 81 non-attorney staff with offices in Sacramento, Fresno, and Bakersfield.